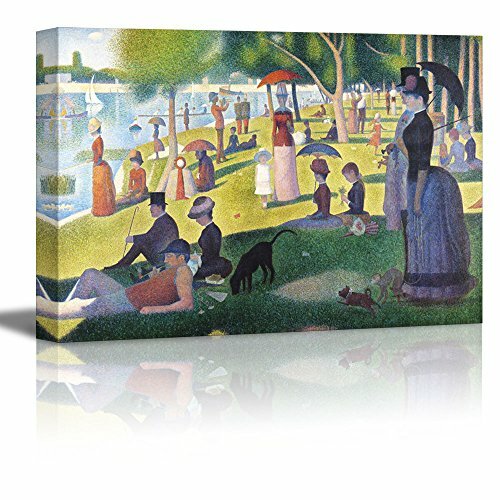 wall26 A Sunday on La Grande Jatte by Georges Seurat Giclee Canvas Prints Wrapped Gallery Wall Art | Stretched and Framed Ready to Hang - 16" x 24"
Received this as a gift. It was on my wish list. I love it! This is my favorite painting, and I've been lucky enough to see it twice in person. The print is beautiful. LOVE this! Even more vibrant than expected. looks so great on my wall. Thanks! I am in love with this painting.It was delivered on time and very well packaged.Great color and size.What a bargain.Thank You. I have always loved this painting, and it's like the artist predicted how people would all ignore each other once the smartphone was invented. Everyone is in their own little world.